Intelligent BI: What is Business Intelligence and why do I need it? Business Intelligence (BI) is an umbrella term for all the software, systems, platforms, and processes that enable businesses to analyse and use data when making strategic decisions. BI encompasses all the technology, tools, systems, processes, and infrastructure that surround the process of making data clean, trustworthy and accessible to business users. That includes data warehousing, Extract Transform and Load (ETL) processes, data cleaning, data mining, data analytics, querying and reporting, data visualisations, dashboards, and much more. To do end-to-end Business Intelligence, you may need several pieces of software to cover each stage of the data process. 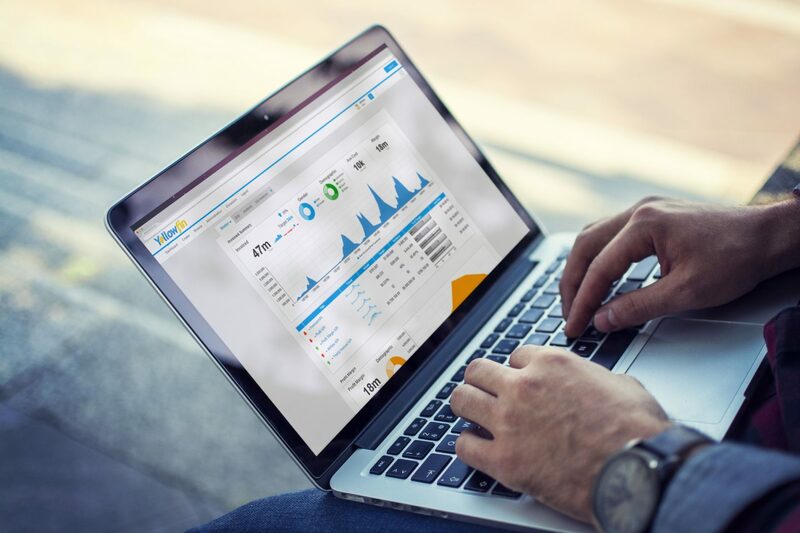 Yellowfin is browser-based software that allows you to prepare, analyse, and visualise data in the form of dashboards and reports. Data visualisation is where you start to see the insights in your data. Data is where you will find the truth of your business performance. BI is all about getting insights faster so you can make more accurate business decisions. Everything that you track in business can be a source of business intelligence. Your data can tell you, in plain statistics, your revenue and profit, your measurable ROI in marketing, your employee numbers and turnover, which products you sell where and in what quantities, the number of support tickets raised and how fast the issues were dealt with, and much more. These statistics listed in tables only tell you part of the story. It’s only when you when you start lining these up in reports, charts and dashboards, you start to see the bigger picture. You get graphical representations of your data over time so you can see patterns, trends and outliers. Then, you can layer on forecasts and trend lines to start predicting your next move. With insights into what is performing well and what can be improved, you can start taking action to improve your business. Using insights from your BI, you can choose which marketing campaigns bring the best ROI and target customers more accurately. You can improve the efficiency of your operations and logistics. You can increase diversity in your workforce. You can forecast sales and adjust targets accordingly. Perhaps you uncover contradictions to what you have always believed to be true and revolutionise a system. Taking action on the insights will bring about business transformation. You will begin to reassess the way you’ve always done things and make changes based on solid data with Business Intelligence. The data insights might surprise you. Then, you track the effects of those changes. When business is so competitive, every advantage you can gain over the competition is worth it. When you are acting on the trustworthy data and analytics rather than hunches to transform your business, you have the opportunity to overtake the competition. Find out your weaknesses and strengthen them. Play to your advantages and change the game to suit. BI helps you find and target these so you can keep up. But to get ahead, you need to see into the future. This is where some BI visualisation tools help you gain the advantage. With a simple click and drag, you can add forecasts and trend lines so you can predict the future. You can adjust your activities accordingly. Often, you’ll find your data goes contrary to your previous assumptions. Query it, but if it’s sound, trust it and act. There is a wealth of information awaiting discovery. You just need the tools to unearth it. (it’s used by over 3 million end users and clients include Coca Cola and Kodak).